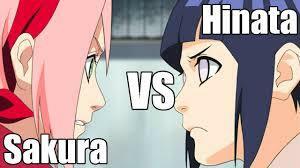 Why is it that Нарухина Фаны seem to hate Sakura so much,and NaruSaku have an issue with hinata? I like Naruhina,(Duh,i'm in the club),however,i don't have any problems with Sakura at all.Part 1 sakura was super annoying,but even in part 2,where she is a great character,people STILL hate her.Especially since her confession in the land of iron.I know she doesn't Любовь him romatically,but she does Любовь him.More in a sibling type of way,but she still 'loves' him.Hinata Любовь him romantically,Sakura loves him in a Sibling way,and she only lied to get him to stop trying to get sasuke,because had she сказал(-а) anything else,in her mind,he wouldn't have stopped.So she told him she loved him,which is true,but not romantically.Hinata confessed romantically,but Наруто doesn't know,so,oh well,try again.Point is,why can't we all get along?If Ты like SakuraXNaruto,why hate Hinata,or deny that she likes him?If Ты like NarutoXHinata,why hate sakura,or deny sakura likes naruto,when even though it isn't romantic,she loves him too? I didn't even know that actually happened. Because, most of my Друзья are NaruHina shippers..except for my crush; he's the only NaruSaku shipper I know. But as far as I've always seen, he's never had any issue with Hinata, he agrees she's one of the sweetest girls in the show. And I've never had issues with Sakura (except when I was like 9, bcoz i had a huge crush on Sasuke. lol.). I think the majority of people who hate Sakura don't hate her merely for getting in the way of NaruHina, but because she is still a horrible person. I'll try to summarise it briefly (since last time I attempted to answer this question, Fanpop cut my answer pretty much in half): she hits Наруто all the time for trivial reasons; she's still having trouble deciding whether she would save Наруто или Sasuke's life if she could only choose one, despite everything that's happened; she screwed with Naruto's feelings when she made that fake confession and proved that she didn't really know Наруто at all, despite all they'd been through together, not to mention it was pretty big-headed of her to assume that offering herself to him would make him stop; during her fake confession, she сказал(-а) Наруто used to be a 'loser', which is of course horse-poo (I won't swear, there might be children reading. :P); she cries еще than most other characters, though she has less to cry about; she overreacted insensitively to Gamakichi's arrival. There's еще I'd like to say... but it would end up being too long again and honestly, I can't be bothered to put the rest in the comments. I don't think many people would read it all, anyway. I'm gonna start a Форум on this one. Then, we can have a fandom civil war. I wanna watch this. I actually have no idea. This principle doesn't apply to me. But it'd have been cool if they got into a catfight!